The Pak36(r) gun was a 7.62cm anti-tank gun which German forces made by modifying the Russian F22 field gun captured in large numbers at the start of their invasion of the Soviet Union in 1941. The modified Pak36(r) was not just limited to fighting its former Soviet master, however, and was also deployed by German forces in North Africa to combat the British threat. 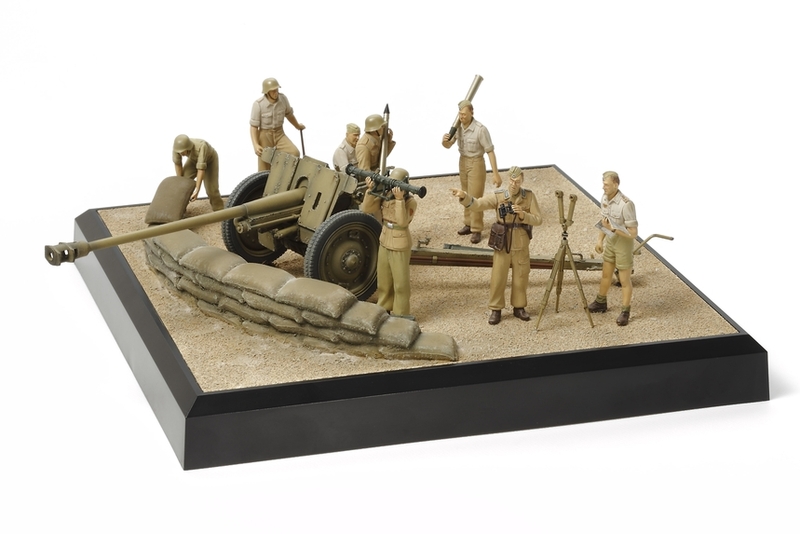 Now, this comprehensive set, which is collaboration between Tamiya and ICM, allows you to create your very own diorama! Special Feature 1 The form of the Pak 36(r) is recreated in detail. Parts are a product of ICM, Ukraine. Special Feature 2 8 figures are present in the kit to provide a wealth of choices when setting up your diorama scene. Special Feature 3 Parts are included to recreate sandbags. 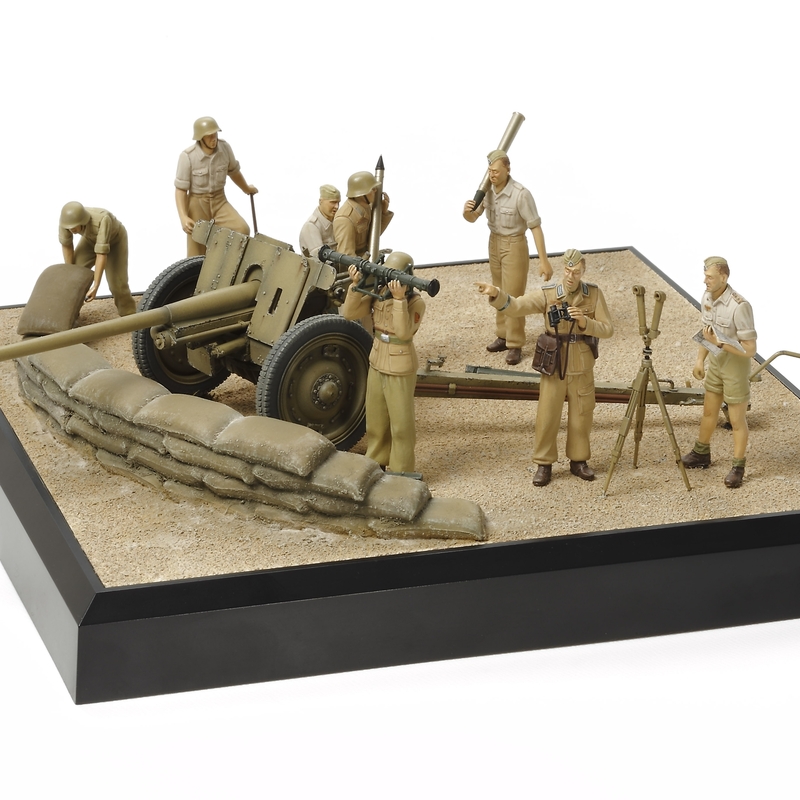 Special Feature 4 Comes with a 188mm x 188mm square diorama base and sheet recreating sandy terrain.